What’s this? Fine dining on Lamma? Say it isn’t so! Well, it isn’t so – but some of the natives have already been calling the island’s newest eatery, Prime, a ‘fine dining’ spot because it sports incredibly romantic views across the harbour and its food is a pretty huge cut above many other restaurants along the Yung Shue Wan drag. It may be a bar and grill in essence but, in comparison to some venues here, this is fine dining, Lamma-style. 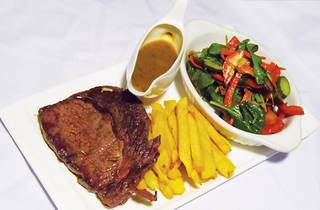 Prime – not to be confused with the Dining Concepts star in Elements mall, Kowloon – is all about its steak. The menu is concise, there are great specials – but top quality imported meat is the real order of the day. On our visit, after trying the homemade breaded crispy chicken wings ($90), which are chunky and supple, we bury our way into the New Zealand 200g prime tenderloin fillet ($200), the Argentinean 250g sirloin with chimichurri dipping sauce ($230) and the Australian black Angus 250g rib eye ($230). 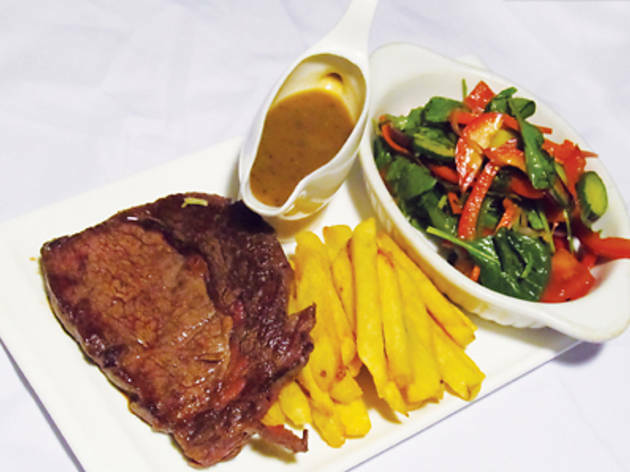 Each slab is juicy, rich and cooked to a tee – and each works with the strong, homemade peppercorn sauce. Then there are the grilled Australian lamb cutlets with a red wine jus ($230), which are also top quality, as is the steak and Guinness pie with mashed potato and mushy peas ($100). Homely and decently sized. And, to finish, the homemade chocolate brownie with rum caramel sauce ($60) is to die for – strong in flavour, nutty and oh-so-chocolatey. 47 Main St, Yung Shue Wan, Lamma Island, 2982 1688. Dinner for two: around $400.